Braxton Miller: A Fit In New England? 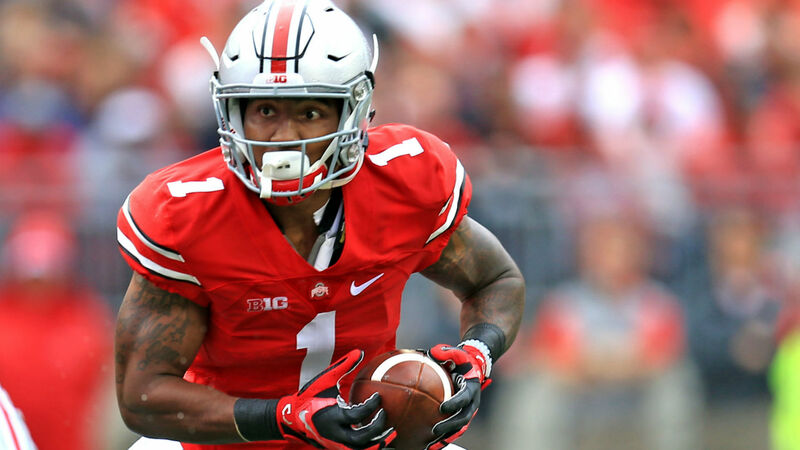 Recently, reports have come out that Ohio State Buckeyes WR Braxton Miller currently could be a target for the New England Patriots in the upcoming draft. Miller, a former QB, converted to a wide receiver in the 2015 season. It is hard to see the Patriots going out and getting Miller, as he is a fairly large name. New England has never been known to go and get big names. Had you ever heard of Dion Lewis prior to the 2015-2016 season? New England is a team that goes for the diamonds in the rough, and it has lead them to success. With the current receiving core currently in New England, it is hard to see Miller as a Patriot. Even though the chance is slim of New England landing Miller, he would be a nice fit. He could be what New England always hoped what Brandon LaFell would be. A 6’2 wide receiver with a speedy reputation could be just what the Patriots need. Mix him with Edelman, Gronkowski, and even Dion Lewis out of the backfield with Brady at the helm and the offense of New England would virtually be unstoppable. We will just have to wait and see what happens, but chances are Miller won’t be with New England. If the Patriots can pursue him, look for him to be an exceptional fit.